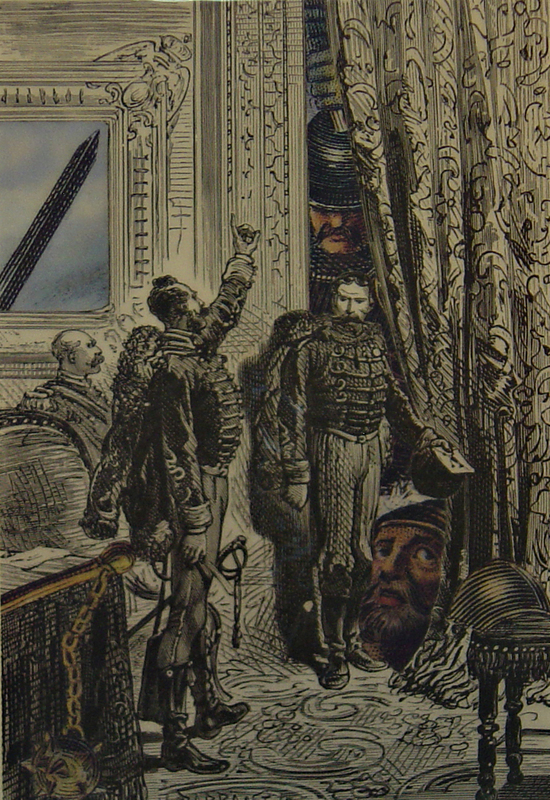 This series of collages is closely related to the Jude series previously posted in that they are 3 1/2″ x 5″ collages on paper based on illustrations from an old Jules Verne book. This time, however, colored illustrations from other sources are included to give a quite different feel to the collages. The book used was Michael Strogoff, whose heroic feats reminded me of the life of David. Hellо Thеre. I fοund youг weblog the uѕe of msn. This is a really wеll writtеn artіclе. learn extra of yοur useful information. Thanks for the post.